This 55-page pdf workbook is a practical set of support materials for taking action and working systematically in schools. 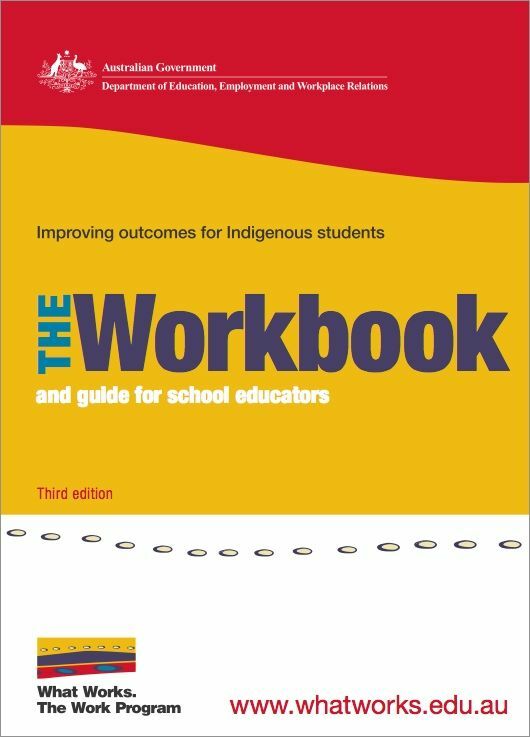 Developed in Australia, it provides a set of tools and ideas to help achieve improved outcomes for Indigenous students, and can be used in conjunction with the materials on the What Works http://www.whatworks.edu.au/ website and other companion What Works publications. This is the third edition, published in 2010. It was substantially revised and updated and provides a complete support for taking systematic action.